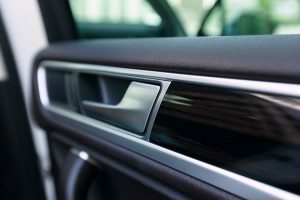 Ficosa’s Door and Seat Systems business unit develops, produces, and sells worldwide mainly: door latch cables, hood cables, fuel and boot release cables, seat cables and release modules, seat cushion mats, backrest supports, and lumbar systems. Ficosa is a worldwide leader in cushion and backrest supports and lumbar systems in the seat comfort market and supplies all major OEMs through our Tier I seat maker partners. The range of Ficosa backrest supports and lumbar systems includes full plastic, full wire or plastic-wire hybrid solutions with a wide range of adjusters (rotary, lever, and electric). Ficosa’s new lumbar support systems feature in its portfolio. Ficosa is introducing new solutions for Electric and pneumatic lumbars. The pneumatic lumbar support is a compact design that allows space saving in the seat structure. The new lumbar support can be delivered individually or assembled on a customised suspension mat. Ficosa develops all kinds of door latch cables including inner release cables, lock cables, and external release cables. We focus on weight reduction (by using special lightweight conduits) and increase performance by offering the most efficient materials with an extremely high degree of modularity and standardisation. Ficosa also develops and produces complete customised release handle solutions for seats, boots, fuel, and hood release systems for all major OEMs and seat makers.